Miasmic Melbourne new age prog duo Legendary Hearts (aka Andrew Cowie + Kieran Hegarty) first entered the public eye/ear in 2012 but their music has only grown more opaque with age. 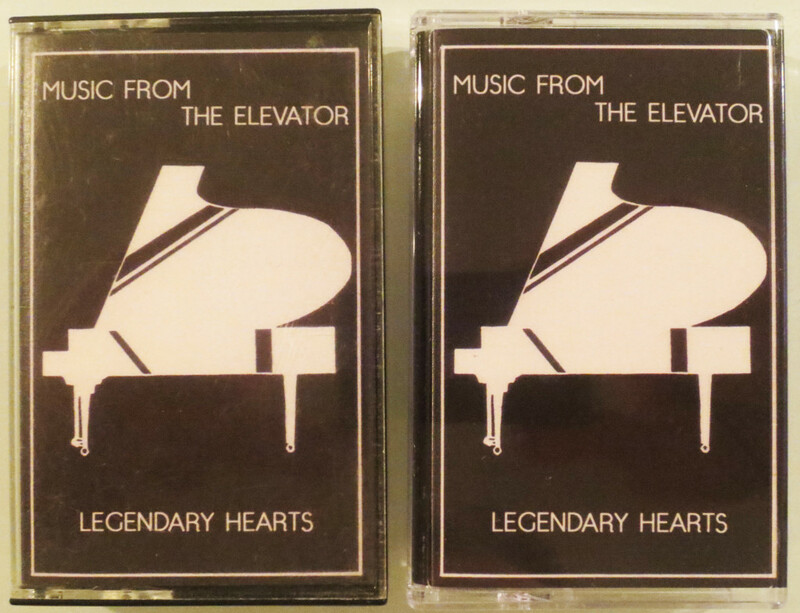 Music From The Elevator is their debut, originally released via the Dungeon Taxis label, and captures their chemistry in altered states of sprawl, symbiosis, and swoon. Six expressionistic oozes of infinity gauntlet guitar, slow-motion drum machines, and warped synthesizer, filtering in and out of focus, unfeeling neon seen through smoke or smog. The songs are titled for the level of the structure which they evoke, from the low-lidded fusion lurch of “Basement” up to breezy cosmosis chillouts “Rooftop” and “Fire Exit.” Long-form, liquid, nebulous, and narcotic – Legendary Hearts walk a wavelength all their own, on their own. Remastered by Lawrence English in Brisbane, Australia. Design by BB.